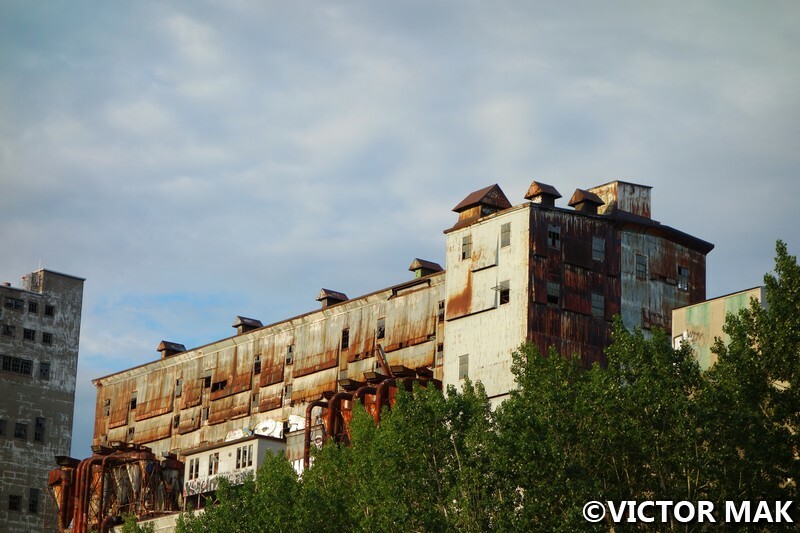 Walking along the river front, we happened upon The Canada Malting complex which was built in 1904 by David Jerome Spence. It’s now abandoned and in “deep disrepair.” It was fun exploring the area and part of us wanted to go through the hole in the fence and get a closer look but we decided to be good and observe from afar. The cement silos on the west side of the complex are covered in clay tiles that were manufactured in Minneapolis. This is a rare technique of covering and insulating silos. The other silos were added in the 1940s and used to store barley. The factory outputted 250,000 (110,000 kg) pounds of malt a year. The barley was germinated and stored in buildings along Saint-Ambroise Street. Work began on the original canal in 1821, it was 14 km (8.7 mi) long and had seven locks, each 30 m (98 ft) long, 6 m (20 ft) wide and 1.5 m (4.9 ft) deep. It officially opened in 1825. In the 1840s, the canal was deepened to allow heavier ships and hydraulic power was utilized by the businesses along the river. This opened the St. Lawrence River to navigation, moving trade from Quebec City to Montreal. 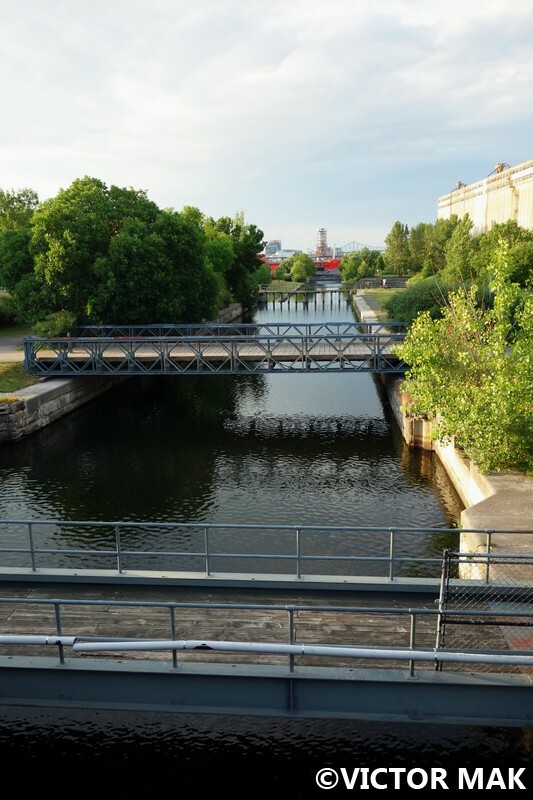 The canal was built to help ships bypass the rapids at Lachine and cuts through the southwestern part of the island, it 1970 it was closed to shipping. 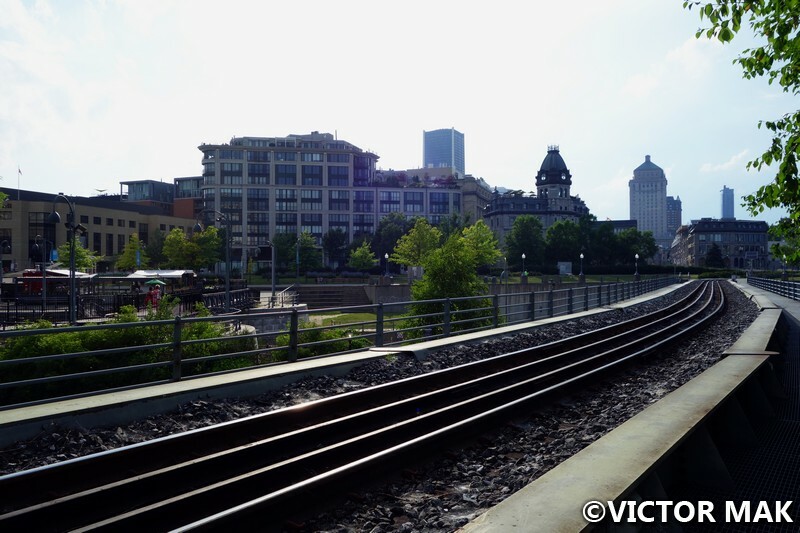 Lachine was replaced by the St. Lawrence Seaway which opened in 1959. 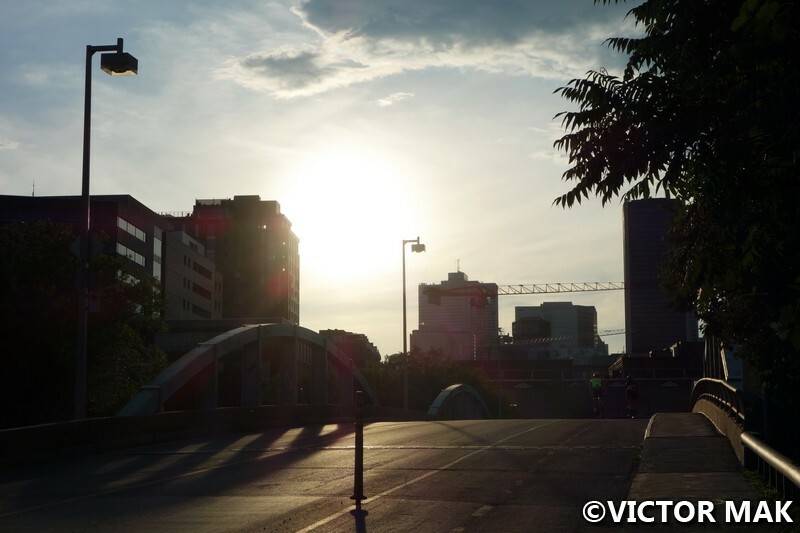 In 2002, Lachine was reopened as a boating recreational area. 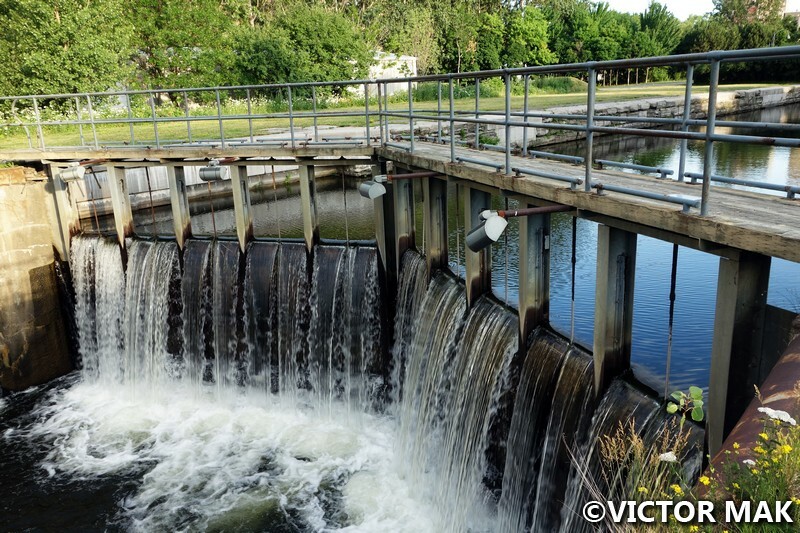 An environmental reclamation project continues to clean up the polluted canal. 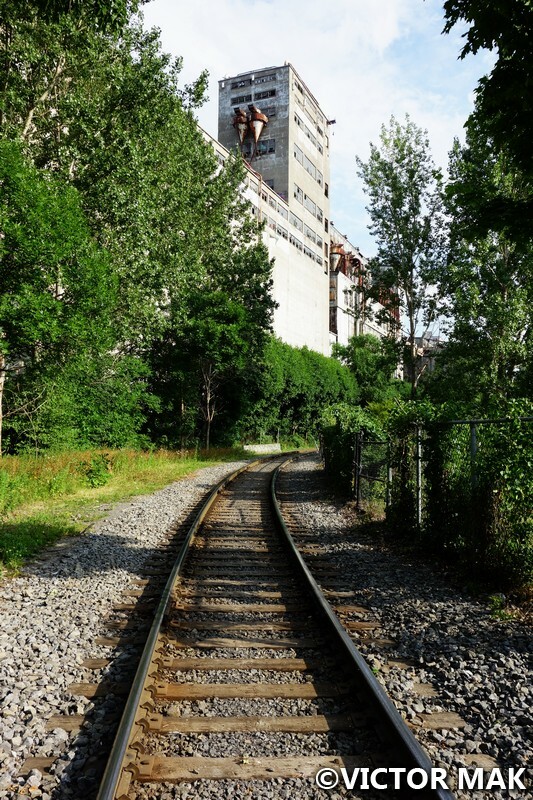 The Malting factory has been abandoned since 1989 when Canadian National stopped rail service to industries in this area of the canal. 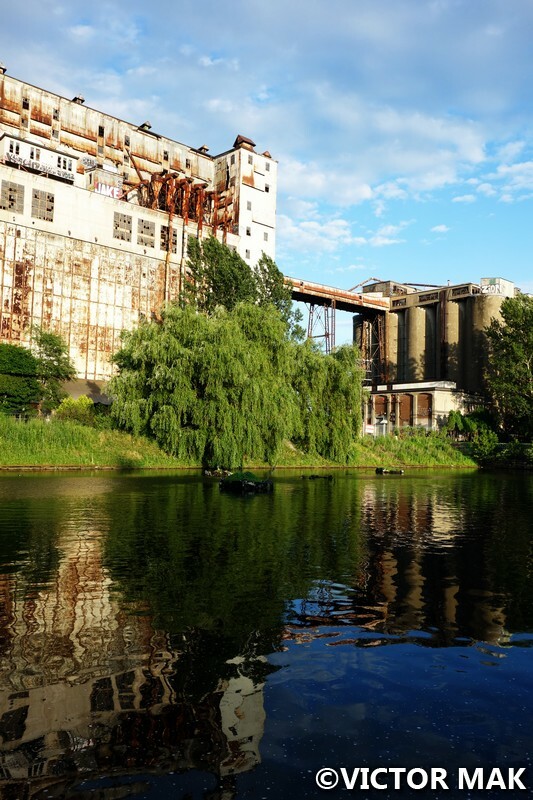 The clay silos are protected as part of the Lachine Canal National Historic Site. 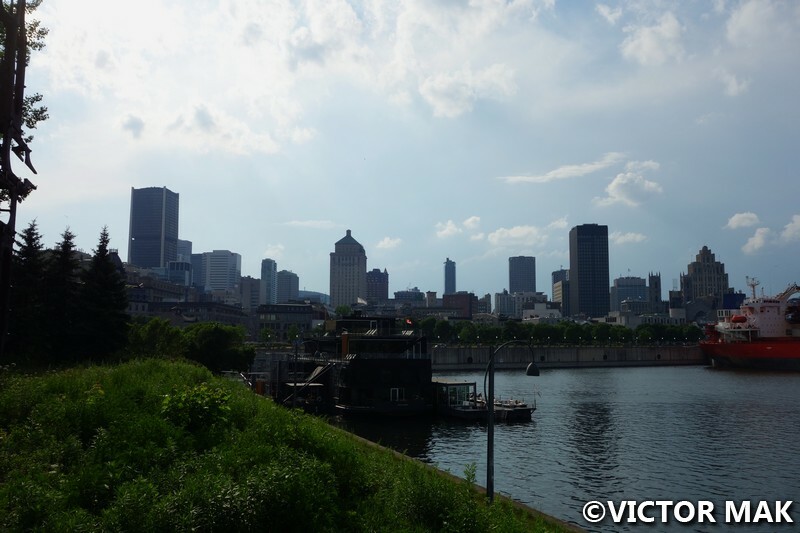 Montreal did a nice job of preserving their industrial past. This was one of our favorite areas to explore. 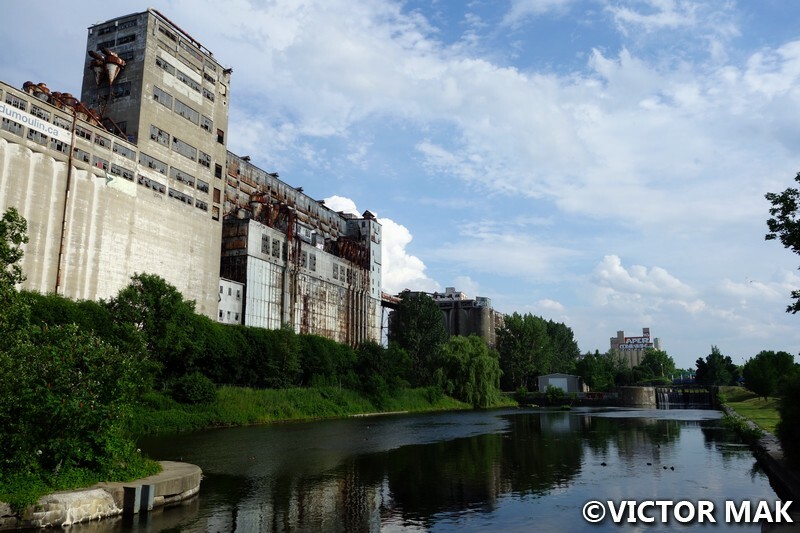 Posted on December 17, 2016 by jebusandandrea	This entry was posted in Abandoned, Canada, Industrial, North America and tagged Abandoned, Canada, French Canada, Industrial, Lachine, Montreal, Photography, Quebec, St. Lawrence River, Travel. Bookmark the permalink. The place looks good for exploring indeed. I am wonder they let you in those buildings? We looked online to see if there were any tours but couldn’t find any. Hope they offer them in the future. That hole in the fence was really tempting to go through but we decided to be good. I take it from the shot of the flowers mother nature is attempting to reclaim some of the site. At least the humans are trying to clean up the canal. I find a kind of dignity in these old indutrial areas that your photos always seem to show so well. Thanks. The canal had a lot of vegetation growing in it and the island was kind of like a park. Would like to explore it further when we go back. I love industrial areas. For me I like to picture what everything was like in the past and I’m amazed how cities and industries grow, etc. 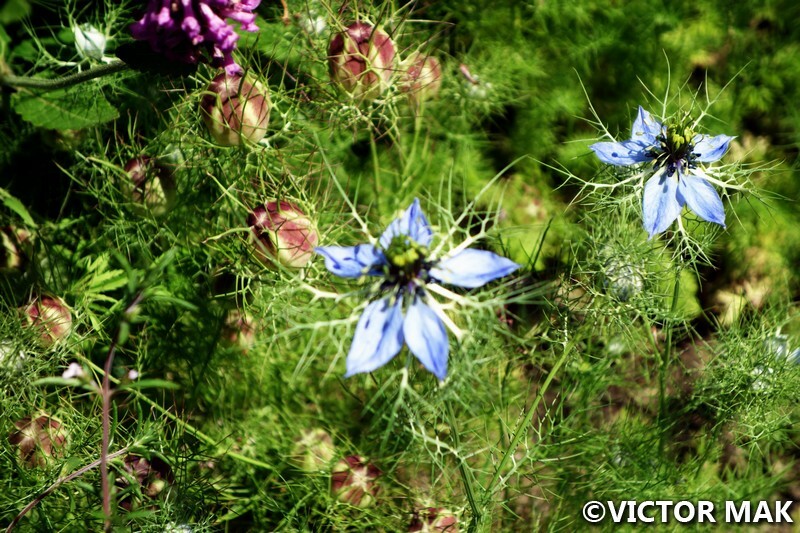 I love it when vegetation starts to take over, it adds an extra something. There’s something haunting about run down industrial architecture. Are you on instagram? There’s a Philly person whose explorations tend to be industrial Philly. This looks a lot like the Olympia Brewing Co. factory in Washington State. It was built next to Tumwater Falls and has a hiking trail along the river if visitors want to explore the woods after checking out the beer brewery. This also reminds me of Minneapolis’ old milling area, which is mostly shut down but has preserved the silos and warehouses where the flour and other finished products were stored. 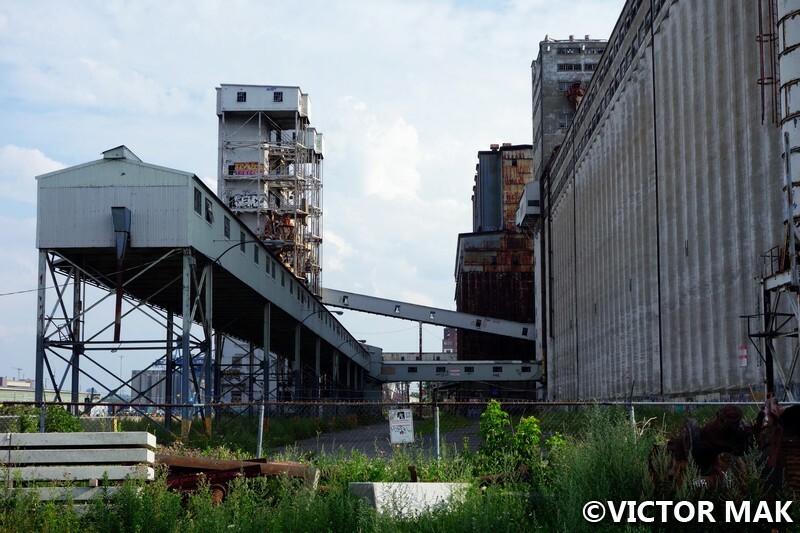 It seems a bit sad that these plants no longer operate within the cities where its workers lived. I realize milling and industrial brewing are mostly mechanized processes, but with the craft beer movement being a thing now, you’d think the cities would be interested in reviving these places. They don’t offer tours of the factory? I guess it’s not safe to go in? We couldn’t find any guided tours. It was really tempting to go through he hole in the fence. I’ll keep looking because I really want to see the inside. We really like industrial sights like these. Think Domino in Williamsburg was the closest for us to something like this but it’s being revamped and won’t look anything like it use to.